Hypoallergenic and Cruelty Free, this organic Bio D zingy Pink Grapefruit Washing Up Liquid is excellent for everyday use and is tough on burnt-on stains. No petrochemicals, phosphates, preservatives, enzymes or synthetic perfumes have been used in production and it is made from naturally derived, biodegradable and sustainable materials. Part recycled and recyclable packaging. Made in the UK. 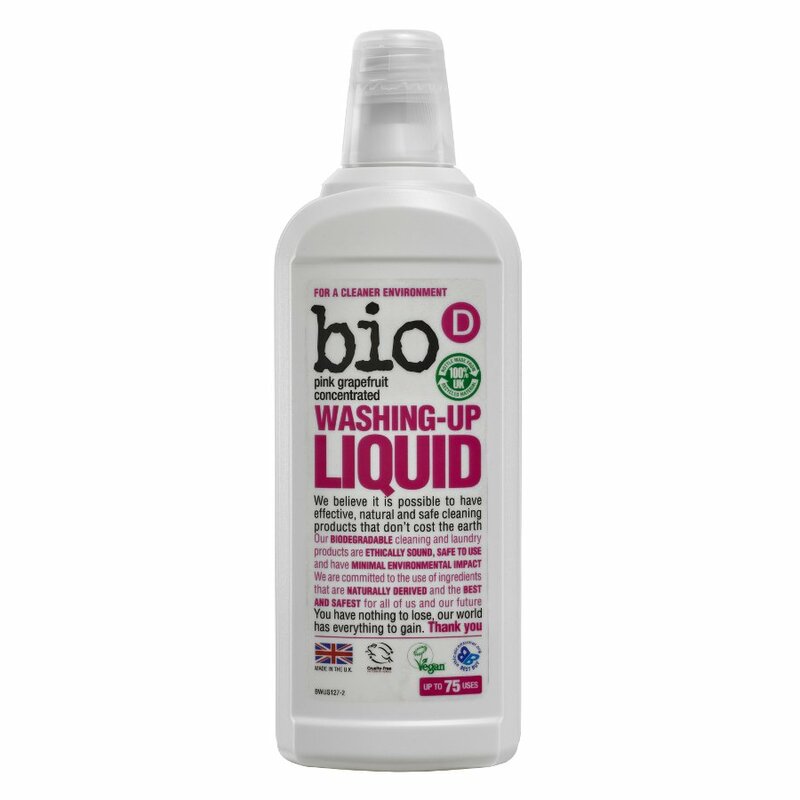 There are currently no questions to display about Bio D Washing-up Liquid with Grapefruit - 750ml.